RIOLIS-Counted Cross Stitch Kit. Express your love for arts and crafts with these beautiful cross stitch kits! Find a themed kit for any taste! This package contains 15 count white Zweigart Aida fabric, Safil wool/acrylic yarn in elevent colors, one needle, instructions and color chart. 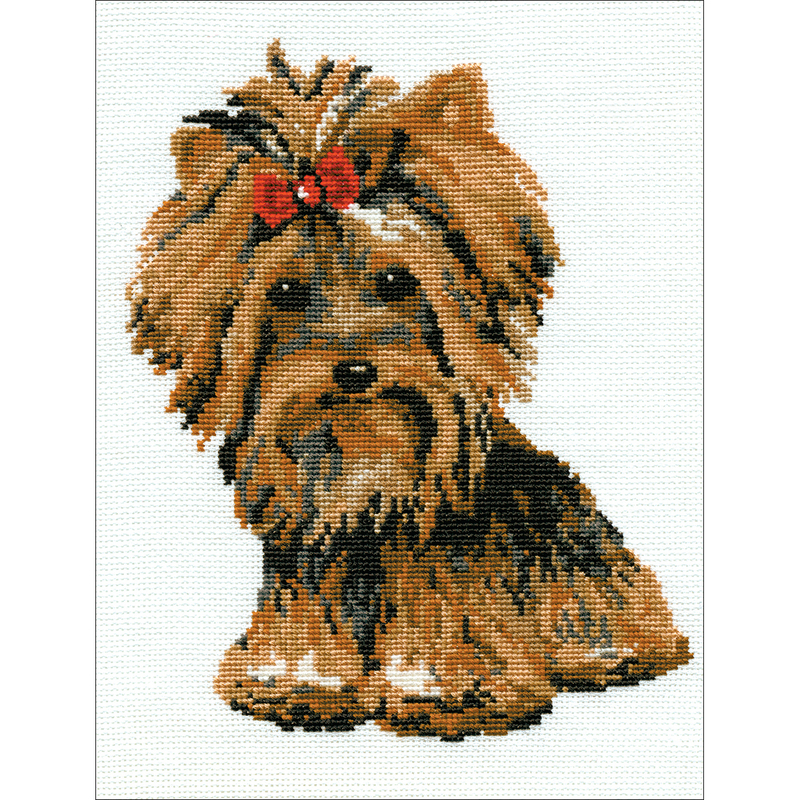 Design: Yorkshire Terrier. Finished Size: 7.75X10.25 inches. Imported.